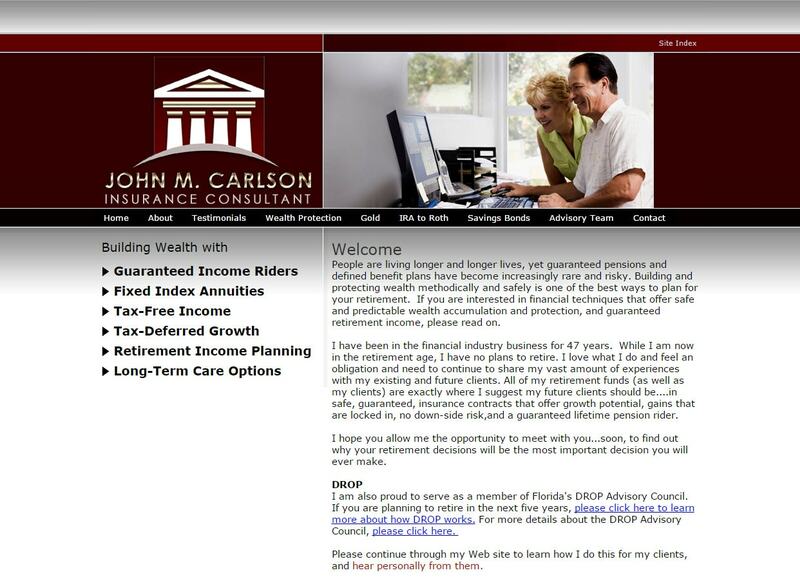 Website design Naples FL | VISIONEFX designed a financial services website to help grow the client base of the John Carlson Team. The website opens with a custom light-box video message from the owner. VISIONEFX designs financial services websites for professional to include; financial consulting websites and financial planning websites. John Carlson Insurance has offices located in Naples, FL. VISIONEFX, a Web design company based in Virginia Beach, VA provides some of the best web site design services in the Mid-Atlantic region and the USA. We provide services to national companies as well as small to medium businesses to include; custom web design, web development, E-commerce web design, Word Press web design, Joomla web development, SEO and web maintenance services. Call: (757) 619-6456 or info@visionefx.net.